Heinrich Otto Wieland was born on July 4, 1877, in Pforzheim, a small town in southern Germany. Wieland studied chemistry at the Ludwig-Maximilian-Universität München in Munich (LMU), Germany. He received his doctorate there in 1901 and was appointed “außerordentlicher Professor” in 1909. At this time he was already interested in oxidation processes in the living cell, one of the foundation stones of the field of biochemistry. He worked at the Technische Universität München (TMU) Munich and the LMU until 1921, with a two-year stint at the Kaiser Wilhelm Institute in Berlin-Dahlem. In 1921 he accepted a call to the University of Freiburg, but returned to the LMU in 1925 to succeed Richard Willstätter as Chair of Chemistry. He retired in 1952 and died in Munich on August 5, 1957. Heinrich Wieland not only received numerous awards, including the Goethe Medal for Art and Science, the Otto Hahn Prize of the Society of German Chemists (GDCh), and the Order of Merit, but he was also elected as a member of various scientific societies. In 1927 he was awarded the Nobel Prize in Chemistry for his pioneering investigations of bile acids and related substances. Heinrich Wieland was a cousin of Albert Boehringer, the founder of the company Boehringer Ingelheim. 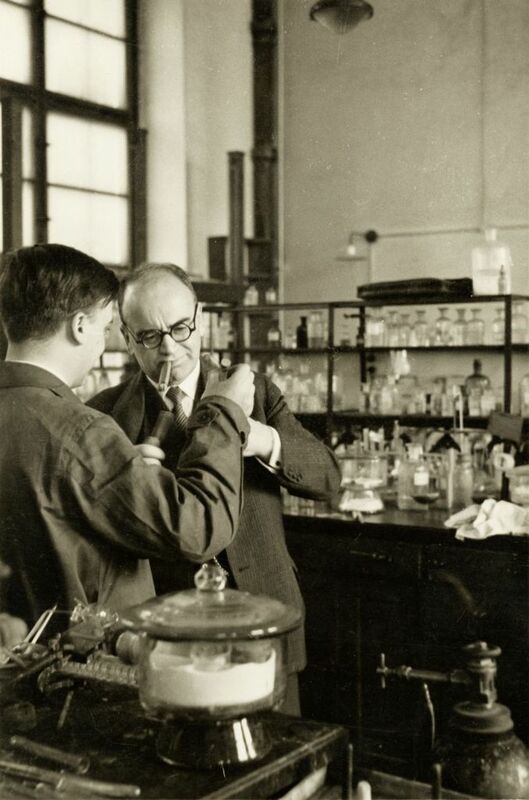 As early as 1903 Wieland worked with the company and in 1917 his consultancy led to the company’s first scientific department dedicated to innovative research. His scientific findings made it possible, for example, to produce drugs against cardiovascular and respiratory diseases.